Hey! Got great news. Haven't posted in a long time because I was working hard building passive income streams. After years of struggling with Amazon and Squidoo, I finally figured them out! (Don't worry. I'm going to share the details). I've already posted most of my stats on other sites, so I'm going to link to them here. Don't want to waste your time or mine. Some of you may have been following me on some other web 2.0 or social media sites. If you read the post, you can just skip it. I received several payments from HubPages during 2012. The problem with HubPages right now is that their traffic is all over the place. Sometimes they rank well on Google and other times they are snubbed. I wrote 50 hubs and took a break to see what happened with the earnings. My hubs earn every day. However, I am going to need about 50 more hubs to get a monthly payout. I haven't written them because of the issue with their traffic. Love that fact that the hubs are still earning and making sales on Amazon. Will go back to finish the 50 hubs. At the moment I am making a lot more money with Squidoo! see if making a lot of lenses using this keyword research tool would be profitable. Every lensmaster that was posting huge earnings was using it. Was it just a coincidence? I subscribed and got busy building 50+ lenses a month. Check out my Squidoo Income Challenge Report! I wish I would have known about Jaaxy before! Writing content for your blog or any web 2.0 site without Jaaxy is like playing darts - blindfolded. I tested Jaaxy's results with social media sites, bookmarking sites, blogs and web 2.0 sites. It just works! After such great results, I decided to build a 1000 lenses before the fall of 2013. Even if each lens only earns $1 (they earn more), that totals $1000. a month just from Squidoo. Hello!?! 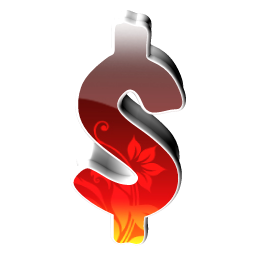 This site is not only the best place to get backlinks for any of your money sites, you can earn money too. They have a daily drawing that I have won three times. This is a great place to share your best photos, videos and bookmarks. You can also be entered into the daily raffle by submitting how to articles. I haven't tapped into the full potential of the site. However, I earn every day just with my bookmarks. In a couple of months I am going to create some product pages and review articles. My goal is get payouts on a monthly basis. If you're not a member, join Redgage right away. You will not regret it! There are more sites, but these are the main ones at the moment. I will share the others once I can post screen shots of any payments. At the moment, I am helping a few people earn on Squidoo. The first person I helped already made sales from her new lenses. She earned more in one month, than the whole time she was an Amazon affiliate. The method works. All you have to do is take the first step. If you sign up for Squidoo and Jaaxy using my affiliate links above, contact me. I will answer your questions and help you through your journey. Thanks for these tips. I didnt know about all of them. I am not sure I would call these "passive" since it takes a lot of effort and active work to get started. You just dont see the result right away. Just signed up for RedGage and Squidoo. I'm skeptical of course, but willing to try. @ElementalUnity Thanks for joining the converstation! No worries about your comment. I can see it's not a aff. link. ;) lol! I have tried most of the keyword tools on the market and wasn't impressed. I felt like I had to do even more work. Jaaxy is so easy and quick. It has increased my income in an amazing rate! @crazycat I accepted your friend request on RedGage. I advise you to sign up for Jaaxy because it will be the best way to get keywords that deliver results. Writing online without Jaaxy is a waster of time. They offer a free trial, but I recommend one get full access. If you put in the work and use it to create content, it pays for itself over and over! Keep me posted on your progress. These are great ways to make cash online. I personally use Squidoo and hubpages to make some income. I have never used redgage! I wonder if I signed up for it but then forgot about it. Seems like it's worth a try. Great article, loved your way of Passive earning. Hubpages are great media to make out good money. Hi! I have found you through you sharing a few of my posts on your online newspaper, thank you so much! I decided to come over to your blog and check it out. I am not left disappointed :)This article is fantastic and has really motivated me to find out more. I have a question though, do you know if payments are international? Can I still get paid in Australia? I would love to be earning three grand a month without leaving home.